Other ingredients: raw honey. Contains no yeast, salt, sugar, starch, milk, preservatives or colors. Suggested use: 1/2 teaspoon twice a day between meals or more as needed. 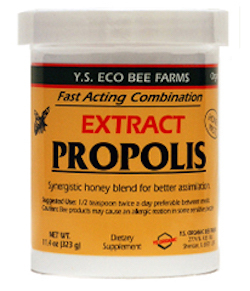 High potency extract is better assimilated with honey.